In the realm of blackened thrash, Frosthelm are a unique breed. While many bands of this style are content in simply carrying the torch of Venom or adding a slightly blackened edge to a thrash metal template, this North Dakota group instead swirl together Dissection-style meloblack and crunchy Bay Area thrash into a blizzard of orgasmic glee. Their 2015 debut The Endless Winter was one of my favorite albums that year and remains one of the best examples of the genre I’ve heard from North America. Almost exactly four years to the day since Winter‘s release, Frosthelm are finally back with second full-length Pyrrhic. Yet this long gap has brought along some changes that don’t always work in the band’s favor. The difference between this and Winter is apparent just from looking at the tracklist. Winter was a 34-minute album with nine songs, Pyrrhic is a 39-minute album with seven (six if you take into account that closer “Pyrrhic” is really one song split into two tracks). In practice, this means that the short, punchy cuts of Winter have largely been abandoned in favor of more involved, sprawling tracks that typically run over five minutes. 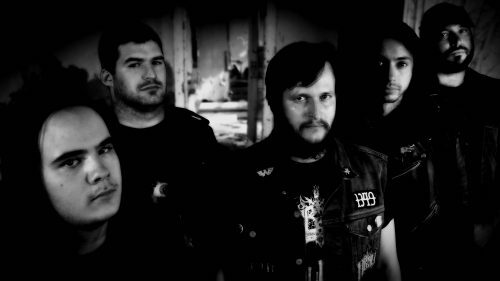 With these extended runtimes, Frosthelm have gravitated towards a melodic black metal sound with thrashy flourishes rather than the roughly even split seen on the previous album. While this makes the band feel more grandiose and mature, the execution doesn’t always hit the mark. Opening duo “A Gift of Razors” and “Serpentine Embrace” are enjoyable tracks that do a good job combining Dissection‘s piercing and melodic riffing with frantic thrash passages, but they also feel like they throw too many ideas at the listener rather than focusing on their best ones. It feels like the band could have deconstructed these songs and written three or four shorter and better songs out of them. “Pisslord” is more direct and sounds the most like one of Winter’s tracks as a result, but it’s hampered by some riffs that feel a bit too similar to ones the band have used before (not to mention a track title that’d be more fitting on a rethrash1 album). Nonetheless, the only track I actively dislike is closer “Pyrrhic II,” which features plenty of blast beats and blustery riffing but never combines them in a truly compelling way. Pyrrhic is a tough album to judge. As before it’s evident that Frosthelm know their way around a decent riff and put a lot of effort into this record. The brief acoustic guitar and folky singing that close it out, for example, offer a satisfying coda that makes things feel truly inspired. Yet in the big scheme of things, I can’t help but feel some of these songs are burdened by a few ideas whose inclusion feels unnecessary. In principle, I have nothing wrong with Frosthelm‘s stylistic decision to write longer and less thrashy songs. In practice, the execution doesn’t always hold up. 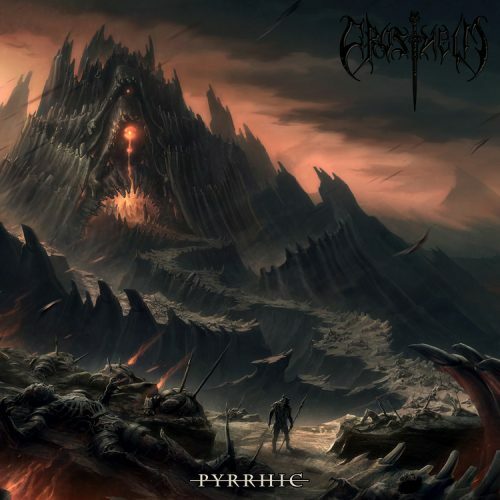 While I think a lot of people will enjoy this album regardless and would still recommend it to fans of melodic black metal like Naglfar or Thulcandra, it’s ultimately hard to call Pyrrhic any sort of victory.